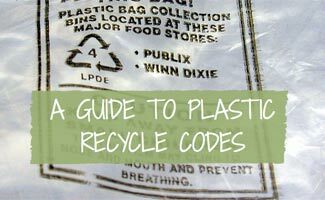 Home > Living > Recycling > What Do the Different Plastic Recycle Codes Mean? If you are new to recycling then the whole process may seem completely overwhelming. Certainly there is glass, paper and plastic to recycle…but what about those numbers on the bottom of the plastic containers? What do they mean and how do they affect your recycling efforts? Below we will take a look at what each of these recycling numbers mean. In total there are seven different numbers that are used to identify plastic recyclables. Each of these numbers is used to identify the seven different types of plastic goods available on the market currently. The numbers themselves are referred to as resin identification codes by professionals and tell recyclers more about the types of plastic used in a container. Some variations in plastic composition make specific items more or less eco-friendly or easier or harder to recycle, resin identification codes identify these characteristics. Quality: Thin, clear, flexible and shiny like glass. PETE or #1 is a plastic product that is made from polyethylene terephthalate. Most commonly this type of plastic is clear in color and is considered to be a “safe” plastic. 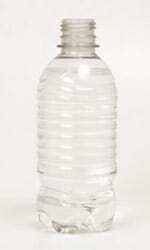 PETE products include plastic soda bottles, medicine containers, water bottles and vinegar bottles. Community recycling services will pick up PETE plastic products. Quality: Tougher but semi-flexible, opaque or colored, waxy surface. HDPE or #2 is a type of plastic that is made from high-density polyethylene. Most often this is the plastic used in milk bottles, hair products, laundry detergent, dish detergent, motor oil bottles and in various toys. 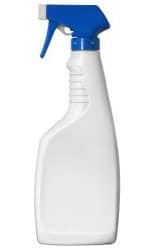 This type of plastic is most commonly not clear and while it is considered to be safe it has the potential for leaching in to products contained within the bottle. Community recycling services will also pick up HDPE plastic products. Quality: Tough and strong, can be clear or colored. V or PVC or #3 describes plastic products made from polyvinyl chloride. This type of plastic is very versatile and can be found in a wide range of daily use products including: medical tubing, PVC pipes, industrial strength saran wrap, hoses and seat covers. Products made from PVC plastic should not be near food that is being cooked since it contains phthalates. Phthalates have been proven to interfere with normal hormonal development. 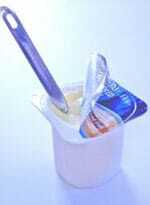 Environmentalists warn against frequent use of this type of plastic especially around food. Community recycling services do not commonly pick up PVC plastic. Quality: Soft, thin, flexible and translucent colored. LDPE or #4 describes plastic products made from low density polyethylene. This type of plastic is commonly used in food related products like sandwich bags, freezer bags, squeezable bottles, bread bags, films that wrap fresh foods and grocery bags. While this type of plastic is considered safe to be close to food products, it is not commonly accepted by community recycling services. Quality: Hard but flexible, waxy surface and opaque in color. PP or #5 describes plastic products made from polypropylene. 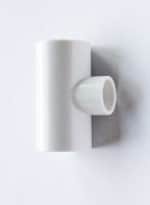 These types of plastic products are often cloudy in appearance and are easily molded into shapes. Most commonly PP or #5 plastic is used in furniture, bumpers, toys and more common recyclable items like condiment bottles, wide-mouthed containers, straws, medicine bottles, tupperware, syrup bottles, diapers and yogurt tubs. This type of plastic is recognized as “safe” and although not widely accepted by community recycling services, it is becoming more widely accepted. Quality: Very soft and white, lightweight and easy to puncture. 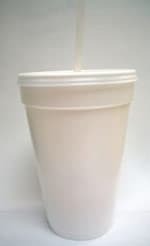 PS or #6 refers to plastic that is made from polystyrene or styrofoam. 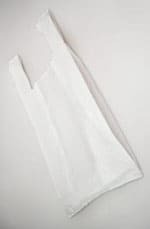 Most often this type of plastic is used in take out or disposable containers. PS is also used in coffee cups, disposable dinnerware, meat trays, packing peanuts, packaging material, bakery shells and styrofoam insulation. Research indicates that this type of plastic is dangerous in that it leaches potentially toxic chemicals that can affect human health. This leaching is an exceptional risk if the packaging is heated such as in a microwave. Environmentalists suggest staying as far away as possible from this type of plastic product. PS or #6 is very difficult to recycle and community recycling services generally will not accept it. OTHER or #7 is a catch-all term that is used to refer to any other plastic types including acrylic, nylon and fiberglass. Most often items listed as OTHER are a combination of all other types of plastic that were invented after 1987. The problem with using products from group #7 is that there is no way of knowing exactly what types of plastic are “in the mix”. 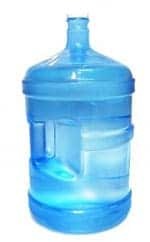 Just a few of the products from this category include: computer cases, items that contain BPA, more modern plastics, stain resistant food storage containers, baby bottles and polycarbonate items. Since there is no telling what items have been combined in #7 plastics there is no way of knowing whether they pose a risk to users so there is a general warning against using them. Not knowing the composition of #7 category plastics also makes them very difficult to recycle and as such community recycling services usually do not accept these items. Learn more nifty information about the numbers associated with plastics for your recycling. Remember the three R’s: Reduce, Reuse and Recycle! Using the guidelines listed it is easy to see which plastic products are best for everyday use and which are best to be avoided at all costs. There are obviously times when we have little choice in the plastics that we choose to use, but when we do have a choice it is important to pay attention to resin identification codes. Continued exposure to chemical leaching and unsafe plastic products takes place everyday but with a little education we can at least put ourselves at less risk for developing related illnesses and side effects. Just what illnesses and side effects have been linked to “unsafe” plastic products? Studies have found that prolonged exposure to things like BPA have resulted in genetic damage, miscarriage, low birth weight, poor growth patterns, delay in the onset of puberty, the development of cancer, development of obesity and development of diabetes. BPA can be passed through breast milk of a nursing mother to her young infant. While BPA containing products are now becoming few and far between, many people ask whether other plastics are having the same unhealthy effects on the human population. That’s interesting that there are so many different types of plastic. I’ve heard of PVC plastic, but that’s about it. I didn’t realize that styrofoam shouldn’t be microwaved either. I frequently heat up noodles in a styrofoam cup. I’ll be sure to stop doing that.